Our fabric flowers are an excellent choice for visual merchandisers tasked with executing seasonal brand refreshes, decorating showrooms, or completing window displays and installations. We are able to produce assembled florals and die-cut shapes and leaves for window display companies, fashion companies or visual merchandisers working on their holiday and seasonal window displays, retail interiors, or showroom designs. Our showroom is based in New York City, and we are able to ship worldwide. 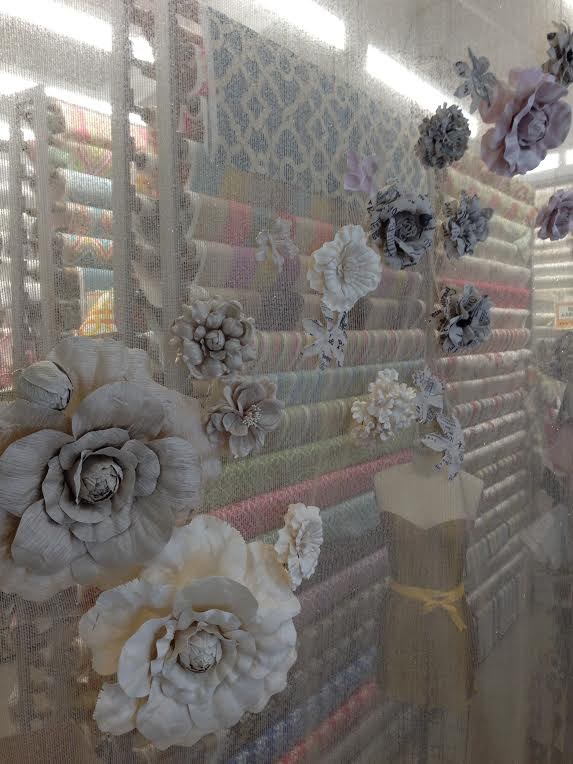 Custom fabric flowers by M&S Schmalberg are more than just props for window displays. View our gallery for styles that can be custom made or changed in any fabric or color. Pricing depends on material and quantity. We encourage visual operations managers or anyone looking for fabric flowers, die-cut shapes or other fabric decorations for their projects to visit our showroom or contact us by email. We could further detail how we are able to bring help bring creative visions to life.